Posted On May 13, 2018 by Team iCynosure. 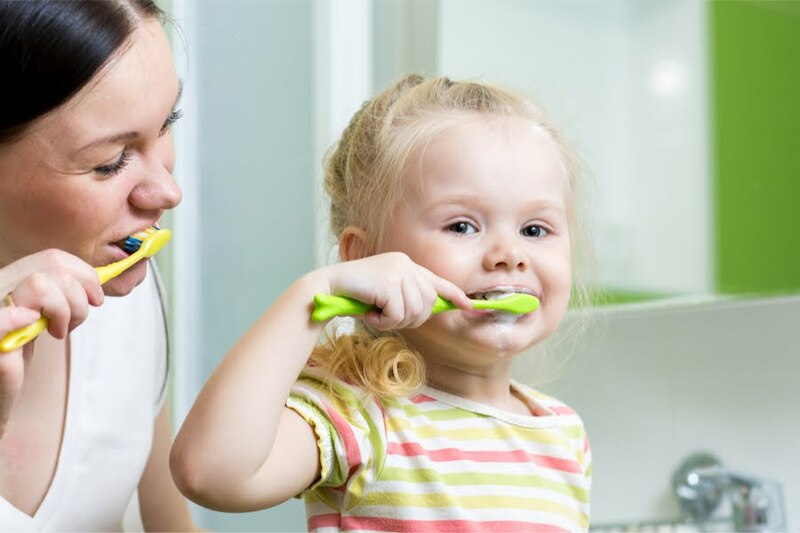 Oral hygiene for children is as important as physical and mental wellbeing, but very few parents understand this. Many parents I know believe that since children have baby teeth that they will lose in due time, oral hygiene is not that crucial until permanent teeth come along. Little do they realise that the foundation for healthy permanent teeth is laid during the early years of life with proper oral hygiene. Poor diet, poor food habits and improper brushing lead to tooth decay, cavities and distorted tooth structure in children which affect the permanent teeth. Thus, as parents, it is essential to establish a good and systematic routine for children's oral hygiene and make them understand the importance of how oral hygiene and proper diet are necessary for happy and healthy teeth. I set a routine for #PrincessHeer even before her first tooth sprout out, guiding her and encouraging her to adapt to the correct and efficient techniques. We have worked through the no teeth phase into the baby teeth phase and wading through the current phase of losing baby teeth without any dental situations. With the benefits of practising good oral habits, I was more hands-on in ensuring my little one's teeth were clean and healthy. Not only did I use Radius Totz Toothbrushes but also MamaEarth's Natural Berry Blast Toothpaste for kids that is fluoride free, and infused with aloe, xylitol and stevia. So don't wait until it is late, start early and be rest assured about the gorgeous smile inside out.